Together we can do great things. Planting this church is going to be an awesome adventure and you’re invited! We are believing God for 50-75 people to help us start Submerge Ministry Center. If you would like to join us on this journey, we would love to find the right place for you on our team! There is a place for you on the team where your unique gifts and passions can be put to use! You’ll live, laugh, connect with new friends and make a difference on this incredible journey. Everyone needs to feel appreciated and significant. We all have gifts, talents and abilities given to us by our Creator. Individually, those gifts are great, but when we join our God-given gifts together, amazing things can happen!! 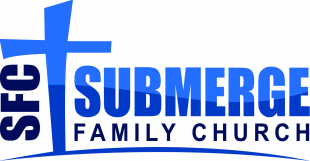 Submerge Ministry Center needs your support. The success of any organization is not dependent on the efforts of any one individual; rather the success of that organization is dependent on the efforts of many who come together as one for a common purpose. You were born to be a part of something great, making a positive impact on other peoples lives. we are gathering people who share similar passions to join the team and help make this new church happen. We need pioneers and dreamers who can help blaze the trail with us in our pursuit to make disciples! We’re looking for people who love God, love people and want to make a difference in our community. We’re looking for people, like you, who could commit to being at our first services, help serve on a weekend, assist with an outreach, and help new believers. This is for those who want to be a part of Submerge Ministry Center for the next year…or forever) commitment. If you know you are destined for more and want to be a part of doing something great, than partnering with us as a launch team member is just the right place to get involved! If you want to be in on the ground level of something truly authentic, something that will impact our community and change the world, now is the time to join the volunteer launch team for Submerge Ministry Center! To join our Launch Team, click here to connect with us. 2. A monthly, recurring gift toward our Launch Budget. 3. A one-time gift towards a specific item on our Launch Budget (i.e. musical instruments, projectors, outreach, etc.) Please contact us for specifics. *Please make checks payable to Submerge Ministries. All donations to Submerge Ministries are tax-deductible.